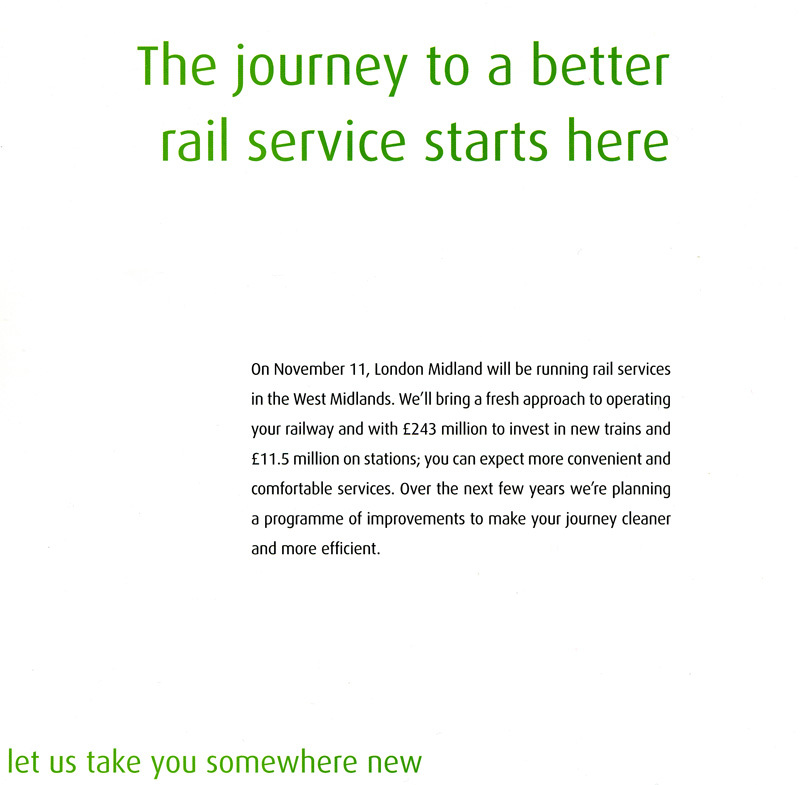 Never say in one page what you can say in two might be the motto for London Midland who were appointed by the Government to take over from Central Trains on 11th November 2007. 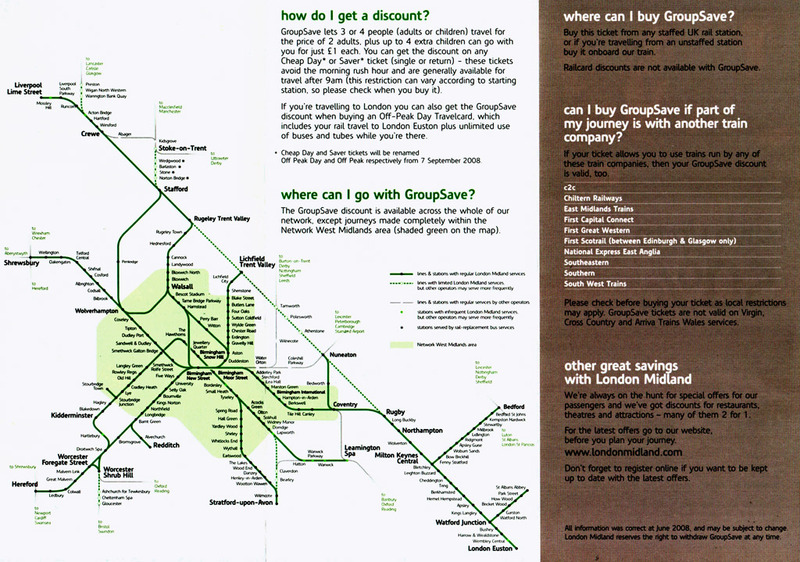 These publicity pages were sent to 'Network West Midlands' customers in October 2007. As they say 'Let us take you to somewhere new'; a new era - a new slogan perhaps. The first of these two drawings from Summer 2013 appeared on the rear cover of many leaflets issued by London Midland. This particular instance comes from the 'Liverpool & The North West 2 for 1' offers brochure. 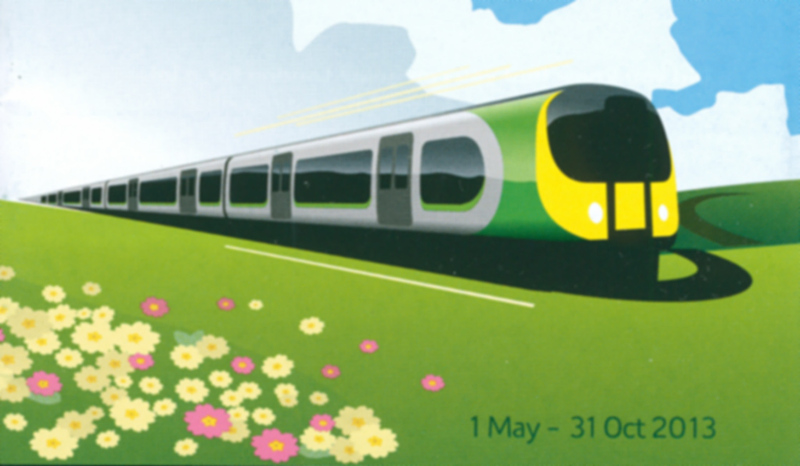 Most of the 2013 '2 for 1' brochures featured this drawing but interesting the one for London used a cutout pseudo class 350 offset with some pink flowers.